Beautifully cooked! 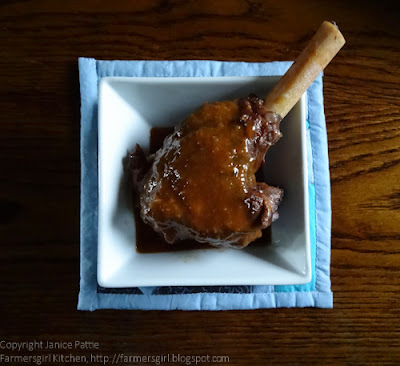 Lamb shank is quite pricey here but I think I'll make this for New Year's, a special occasion. 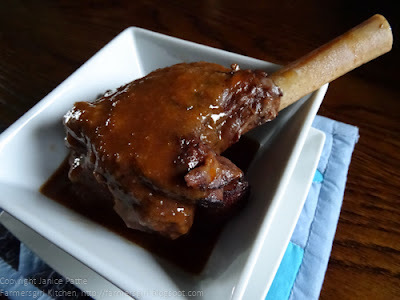 I have also never cooked a lamb shank which is odd because I do LOVE me a lamb shank!... yours looks gorgeous and how lucky to have a lesson from the master... your photography is looking amazing too! I haven't had lamb shanks for ages. 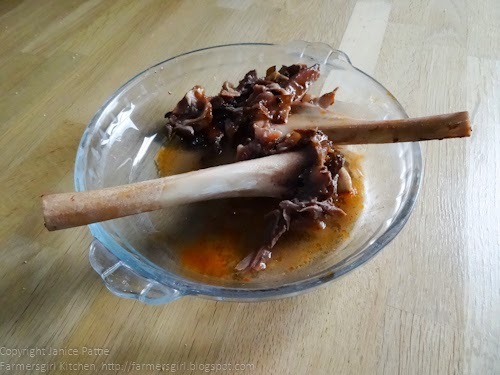 It is such a delicious cut of the meat and I love the way it falls off the bone. I once had an excellent Shepherd's pie which was made from slow-cooked lamb shanks. Pleased to have discovered your blog via Tinned Tomatoes. Thanks Jaime, hope you enjoy the Lamb Shanks at New Year. Dom: can't believe you haven't cooked a lamb shank, but then neither had I! Antonio: welcome to Farmersgirl Kitchen and thank you for your kind comments. Braised lanb is delicious; I love how tender and rich the meat is when it's stripped from the bone. Thank you for the recipe. Like you, I love lamb shank (though often forget and don't order it). I've had many a couple of versions at nice restaurants but never thought that I could make it myself. I shall now keep an eye out for them in the butchers / supermarket. Only scottish though of course! I am VERY envious as I LOVE lamb shanks Janice, and yours look so delectable! Aline - hope you enjoy making the lamb shanks. Gill - 'Tis the season for this kind of slow cooking, really not difficult at all, just need to plan ahead.